About: Steatitis is a painful condition caused by inflammation and yellowing of the fat tissue. Causes: It is caused by feeding a diet in unsaturated fatty acids and deficient in vitamin E, which acts as an antioxidant. When there is an overabundance of saturated fatty acids, damage occurs to the body fat, resulting in painful inflammation. 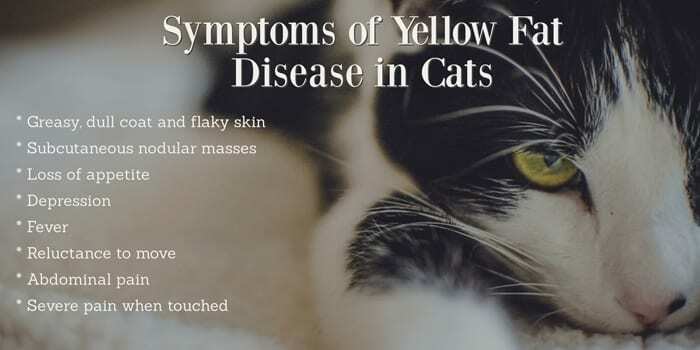 Symptoms: Solid masses under the skin, greasy coat, loss of appetite, reluctance to move, pain when touched and depression. Treatment: Dietary changes, vitamin E supplements, corticosteroids and pain medication. Steatitis (yellow fat disease, pansteatitis) is a painful condition characterised by a marked inflammation and yellow colouration of the adipose (fat) tissue. The discolouration of the fatty tissue is caused by deposits of large amounts of ceroid pigment and is caused by feeding a diet high in unsaturated fatty acids and deficient in vitamin E. Oily fish, especially red tuna, but also sardines and white fish are the most common cause of this condition. Other less common causes of steatitis include pancreatitis, infection, inflammatory disorders, trauma, cancer, and immune-mediated diseases. The condition can occur in cats of any age, however, it is more common in obese cats. Your veterinarian will perform a complete physical examination of your cat and obtain a medical history from you. 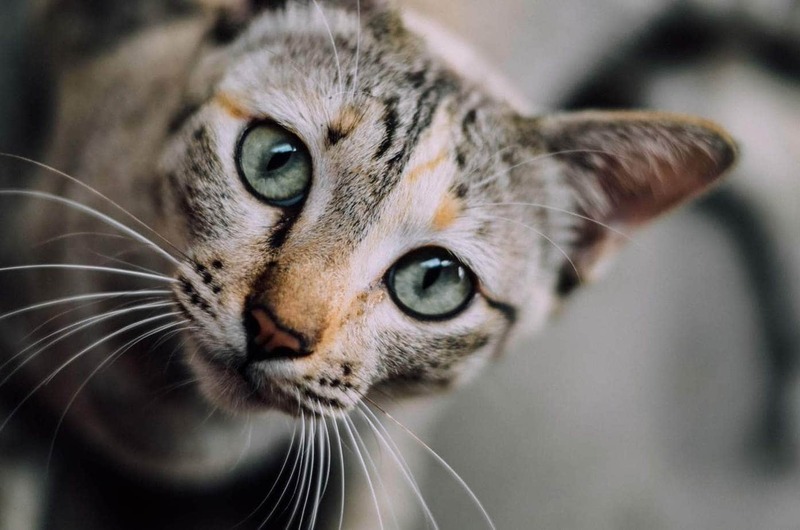 In some cases, your veterinarian will be able to diagnose steatitis based on symptoms and a history of your cat’s diet. Elimination of fish from the diet immediately. Nutritional support, such as tube feeding. Some veterinarians recommend the use of corticosteroids such as prednisolone to reduce inflammation, pain, and fever. 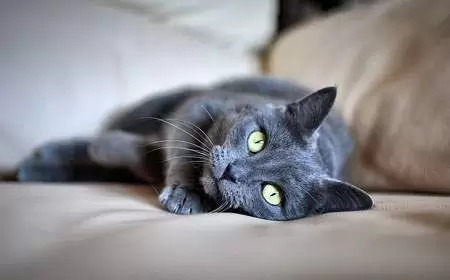 Supportive care such as fluids and painkillers to keep your cat comfortable. Cats who receive prompt medical care have a good prognosis. Complete recovery will take three to four weeks. Cats should always be fed a well-balanced diet. Can I feed my cat human grade tuna? The short answer is yes, but only feed as a special treat, it should not be a part of the cat’s ordinary diet. Tuna is quite addictive to cats and they can quickly develop a taste for tuna and refuse any other foods. The term “tuna junkie” has been used to describe such cats. Raw fish also contains the enzyme thiaminase which destroys thiamine (Vitamin B1), resulting in thiamine deficiency. Cooking destroys thiaminase, thus protecting thiamine. What’s the difference between human grade tuna and tuna flavoured cat food? Human grade tuna is just that. Tuna flavoured cat food is not 100% tuna and usually contains other meats and nutrients which are necessary for the cat’s diet. Limit the amount of fish flavoured cat food as hyperthyroidism has been linked to feeding tinned food, particularly fish flavours. So it is always better to err on the side of caution and make it a sometimes food only. *1 The Cornell Book of Cats.